Support PSACH is a charity founded to increase awareness about Pseudoachondroplasia. Pseudoachondroplasia (PSACH) is a rare bone growth disorder – a skeletal dysplasia (aka dwarfing condition). 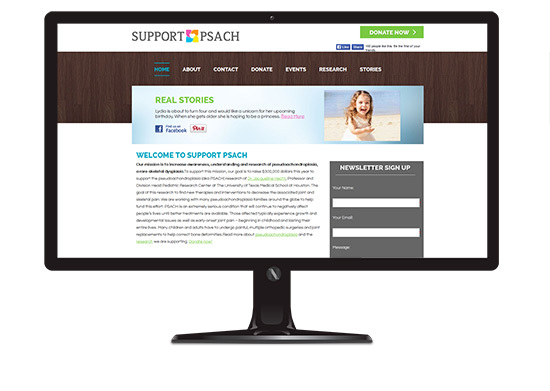 This site was part of branding package that Support PSACH needed. I started with the logo then designed the site. They wanted a site that was easy to update and to navigate. I designed and coded the site.